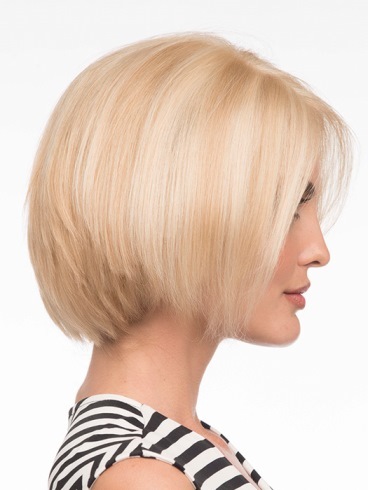 Amelia by Envy is a smart, sleek jaw-length stunning bob. 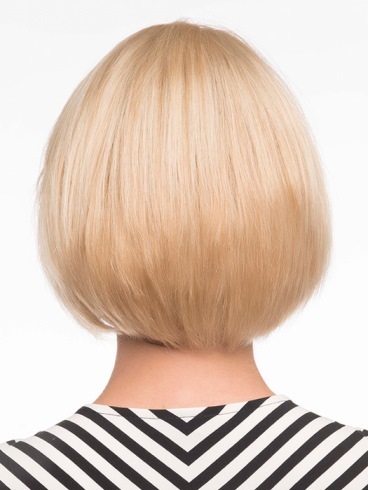 This human hair wig features slight layering around the face and nape to offer a sculpted silhouette. The cap is 100% hand-tied with a monofilament top and lace front. These features create supremely natural comfort and movement, a natural looking hairline and the appearance of natural hair growth. Amelia is made of 100% human hair that allows you to style the wig with heat tools as you would your own hair. It's available in vibrant multi-dimensional colorations. The cap construction is made with built-in poly tabs and strips so that the cap can be secured for better comfort and a more confident fit. Bangs: 7.75" Crown: 7.75" Sides: 5" Nape 2.5"